Download Free Business Marketing Emailer Template PSD. This Free email template is a clean, professional and beautifully designed. 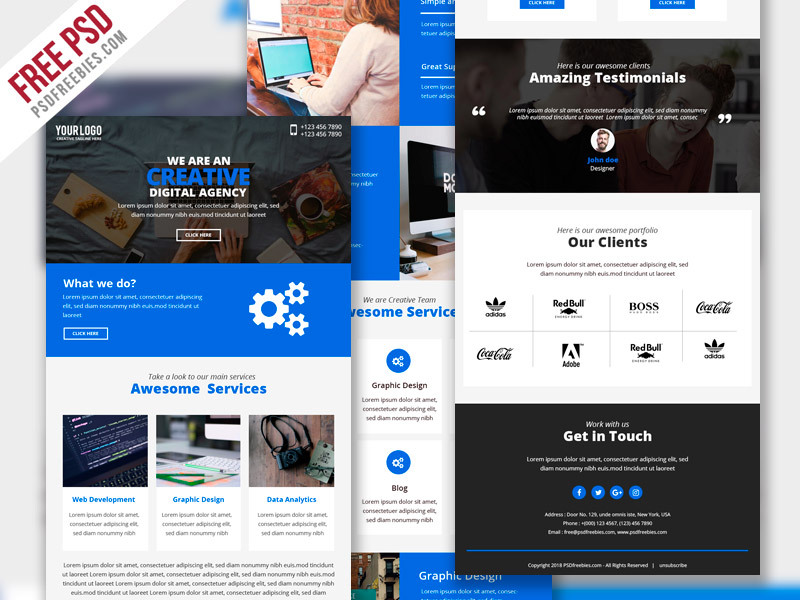 Business Marketing Emailer Template PSD suitable for any kind of business like Online business, Agency, Creative, Blog, Magazine, Retail, Photographer, Artist, Fashion blogger, Designer, Freelancers and much more. This Free Email Template very easy to edit, Layers and Smart Objects are very well-organized and structured, so you can easily customize the design and color as per your need. Hope you like it. Enjoy!